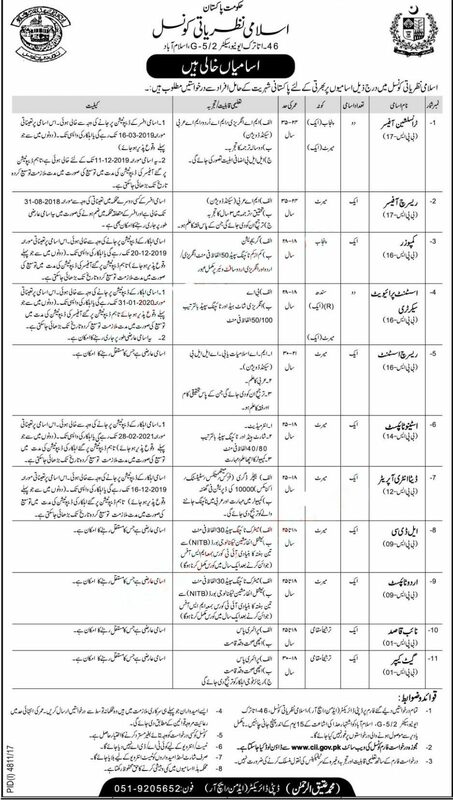 Federal Government of Pakistan has announced various jobs for Translation officer, research officer, Composer, Assistant Private Secretary, Research Assistant, LDC, Data Entry Operator, Stenotypist, Urdu Typist & Naib Qasid in Council Of Islamic Ideology Islamabad Jobs 2018. The Latest Advertisement is Published in Daily Jang Newspaper on 7 of Marc 2018. 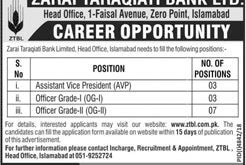 Interested candidates having required qualifications & experiences can send their applications to : Deputy Director (Admin, HR), Islamic Council of Ideology, 46-Ataturk Avenue, G-5/2, Islamabad within 15 days of publication date of this advertisement. Applications received after due date or incomplete applications will no be considered. Candidates can download applications form from Council of Islamic Ideology website www.cii.gov.pk.